Same size model used by law enforcement personnel. Ideal for auto or home use. 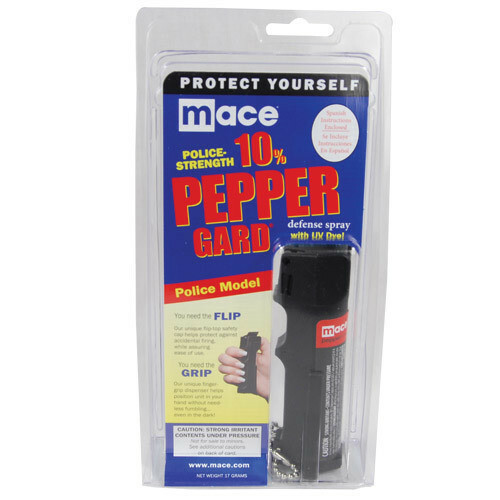 Features flip-top safety cap, finger-grip dispenser, belt clip and keychain. 17 gram unit sprays 8-12 feet. Contains 10 one second bursts.